WINE ORDER ... the name itself makes this Lipstick-Junkie, slightly woozy ;-) Ahem ahem.. let's get back to the review now, shall we? Price : The lipstick is priced at Rs. 450/- but you can always get online discounts. Shade : Wine Order is a deep, rich pinkish-wine shade. It's definitely suitable for all Indian skin tones. Some of my friends tell me, they prefer this shade only for evenings, but I mostly like wearing it during the day. Texture / Formula : I love the texture of the Lakme crease-less range. The lipstick glides on smoothly & does not tug at the lips. The formula is Semi-matte and sits well. It's smooth & creamy in a way that it hydrates the lips & doesn't accentuate the creases. However, it DOES NOT really give a "Crease-less" look to the lips as it claims. Pigmentation : Great pigmentation on this one! One swipe and you get amazing colour-payoff. Wear-time : This lipstick looses points from me, on wear time. It lasts on me, for approximately 1 - 2hrs only. I've never been a fan of creamy or satin finishes for this reason. I don't like more than 1 or 2 touch-ups and this baby needs a lot of re-work to be done on it during the course of the day :-( Wine Order isn't transfer-proof and I see lots of it on my Coffee mug, my lil one's cheeks and all the Snacks I might have had. Basically it transfers Big Time on anything & everything!! 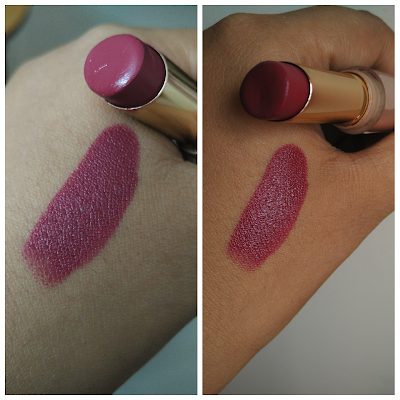 Overall Experience : I have absolutely loved the shade & my current lipstick tube is my 2nd in this particular shade. I've gifted it to friends and family who have loved it as well. It's a beautiful shade that would suit mostly all the Indian skin tones. So overall, I'm so taken in by the shade that I have repurchased this & also overlooked the fact that it transfers a lot. 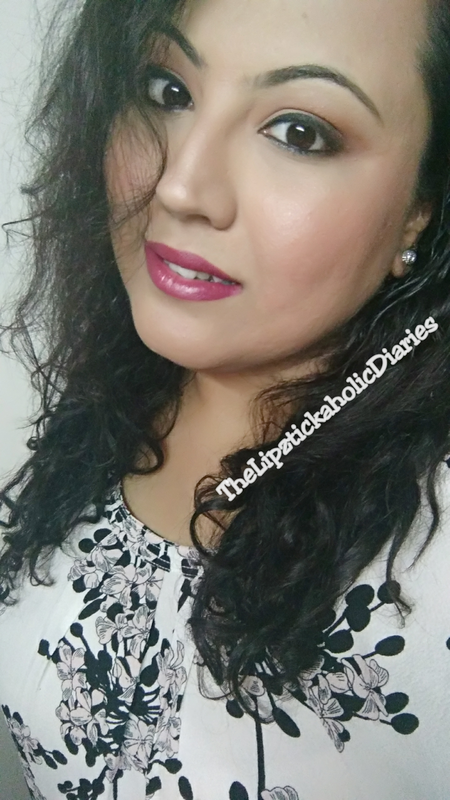 This is one of the few "non matte" lipsticks that have made the cut to this matte-favouring Lipztickaholic's collection :-) If you're like me, you're totally going to love this lipstick! By the way, have you ever stepped out of your comfort zone for a product & ended up loving it? Let me know in the comments section below. Until the next post, Ciao..!! Haha, I was just building my makeup collection that time & got this on a whim.. in spite of my Matte-fixation. Loved the shade so much that I wore it every other day. Finished that one up & bought this one!! Not too sure but as far as I remember, THIS is the only lipstick I have finished & repurchased. Looks like a very pretty mauve wine shade. It suits you very well.